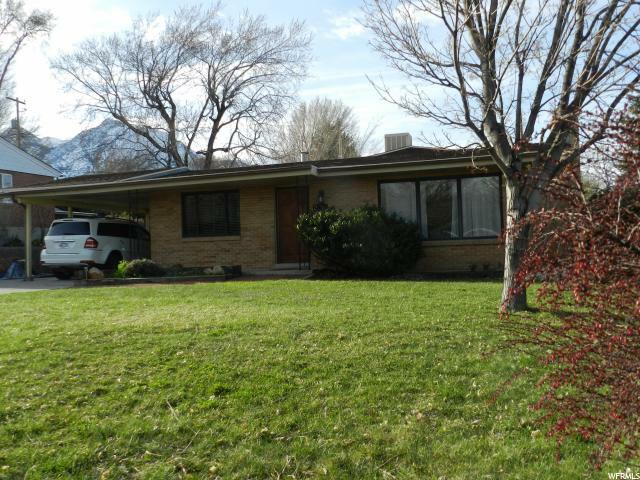 Here are listed homes for sale in the East Millcreek area of Salt Lake City. "Location, Location, Location! 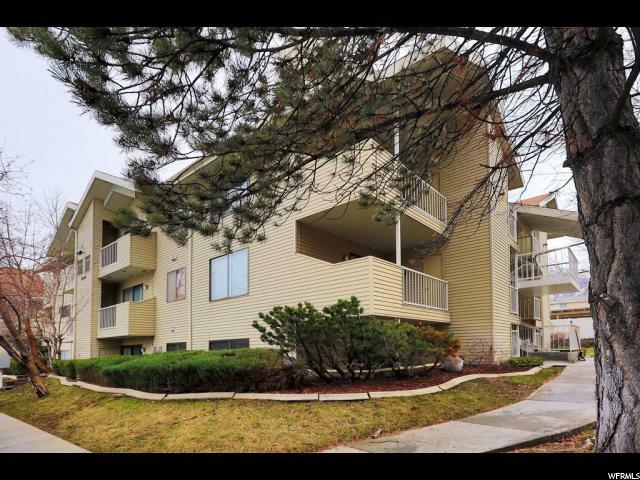 Newly updated Eastside Condo with easy access to I-215, restaurants and shopping. Spacious 2-bedroom, 2-bathroom ground floor unit boasts private patios; one located off master bedroom, the other off the living room with room for seasonal outdoor dining. New luxury vinyl plank floors in kitchen-dining area, living room, both bedrooms and main bath. New doors and hardware. Kitchen features include new refrigerator and dishwasher as well as bar counter with pendant lights, adjacent dining space and conveniently located pantry. All new quartz countertops, new tile kitchen backsplash and new sinks with faucets in kitchen & both bathrooms. New washer and dryer in separate laundry room; shared with furnace and hot water tank. Two storage areas; one adjacent to unit, the other adjacent to carport (F) parking. Two covered carport parking spaces F & P"
"Great opportunity for investors remodel or rebuild. Surrounded by more expensive in a wonderful Millcreek neighborhood. Complete plans/drawings for a rebuild are available. Call agent for details." "We have coined this house The Not So Townhome, Townhome (you will see why). From the moment you drive down the quiet street to this remarkably situated home, it will be easy to forget about neighbors nearby. Entering in the front door you will find an excellently laid out, open floor plan, which lends itself superbly to entertaining friends and family, or making sure the kiddos are not getting into mischief while whipping up some culinary treats. The patio off the main area is plenty large enough to continue the after dinner party. So, whether it's a glass of wine with friends, s'mores with the kids, or some quiet time for yourself, you will feel complete seclusion with a park as your backdoor neighbor. The ideal 3 bedrooms and 2.5 bathrooms make this house perfect for first-time homebuyers, a new family or someone looking to downsize. All bedrooms are located upstairs and with washer and dryer conveniently located on the same level, it keeps those piles of laundry to a minimum. The master bedroom does not disappoint, with a large on-suite and perfect tub for those times when the only plans you have are a little you time. Don't let this one slip by. See it in-person today!" "CANYON RIM! If we had to sum this delightful home up in one word, it would be METICULOUS! In addition to its nice, workable floor plan, all on ONE LEVEL, this neat little gem has a fresh, neutral color scheme and, more great news, there's hardwood under the carpet in the living room and bedrooms! Out back there's a huge, completely fenced, grassy yard with a cool old Catalpa tree that blooms with gorgeous flowers in June, and provides superior shade the rest of the year. Out front, there's a charming, mature, silver maple for more delicious shade, and an extra wide driveway that parks up to three extra cars. Exterior is low maintenance vinyl siding, and newer vinyl windows are efficient double pane. And if you know anything about Canyon Rim, you know you absolutely CANNOT beat this neighborhood. Dog parents will LOVE that it's just a short walk to Tanner Park (off leash), and there's super easy 3 minute access to I-80, 5 minute access to shopping, restaurants, and coffee, and it's 10 minutes to downtown (location, location, location!). As a nice extra, the seller is offering a 1 year home warranty with purchase. Homes in this super-desirable area don't last long - schedule your private showing today! Square footage figures are provided as a courtesy estimate only and were obtained from appraisal . Buyer is advised to obtain an independent measurement." "Hidden Gem in East Millcreek area. Finished to perfection, includes paid for solar, emergency generator, granite countertops and spaciousness in a manageable area. Huge covered patio, newer windows with plantation shutters. 50 year roof. Stainless steel appliances include w/d stay. Safe. This is a clean move into home with little upkeep and many nice options." 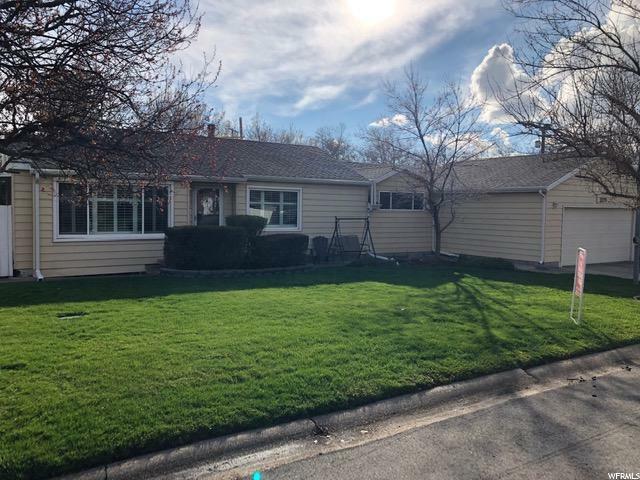 "Great midcentury, modern 3 bedroom, 1.5 bath rambler with high-vaulted ceilings, lots of windows and natural light, a nice big fenced-in yard with sprawling lawn and peach tree, large den with lots of storage, open plan family room and dining room. Great for families and close to good schools! Newly remodeled with brand new roof, windows, paint (inside and outside) and blinds. 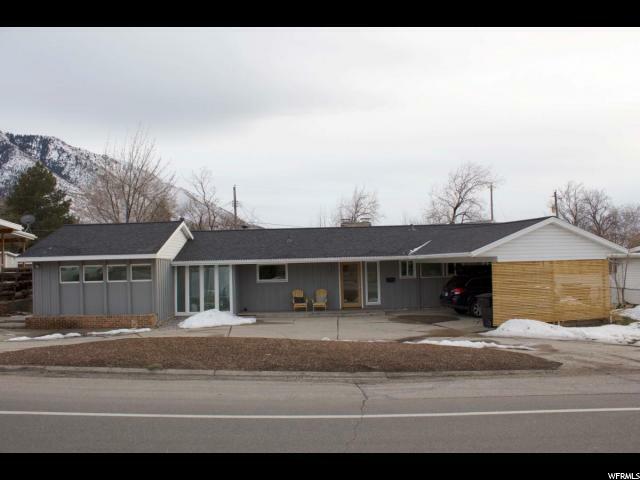 Great Millcreek/Holladay location close to mountains, great freeway access and beautiful view of Mt Olympus. - Appliances include: refrigerator, oven, stove, washer/dryer - Forced heating and air - Working wood fireplace - Large 2nd family room/den - Plenty of storage space with built in shelving - 2 car carport with plenty of driveway parking - Schools within walking distance - Close to freeway - 10 minutes from the University of Utah - 10 minutes from the Canyons - Walking distance to Millcreek Canyon - Large backyard with lots of grass The property recently appraised for $438,000"
"GORGEOUS VIEW OF THE MOUNTAINS. Close to the highway, bus stop and shopping. Updated roof, plumbing, electricity, flooring, paint, carpet, quartz counter tops in the kitchen and bathrooms. Open floor plan with space for entertainment. Basement family room with dry bar and fireplace. HUGE backyard with trees and a big shed for storage. " 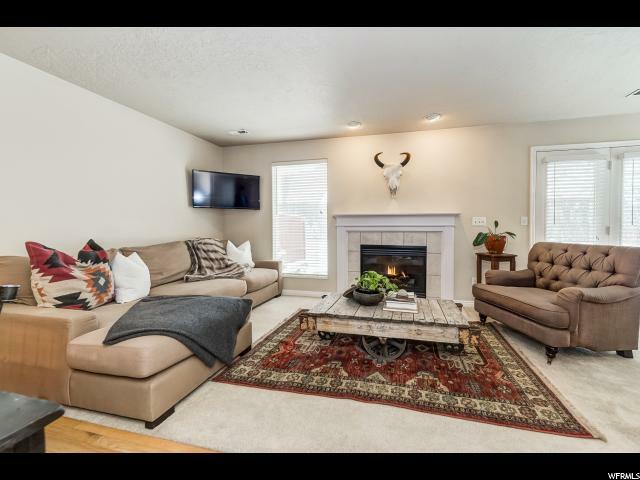 "** Open house Saturday April 13th from Noon-1:30pm** Amazing town home right in the heart of Holladay. Beautiful inside and out. Home Just painted. It has been well maintained and in great condition with many updates and a fantastic floor plan. Vaulted ceilings, large master bedroom with large master bathroom, big bedrooms and big common areas. Office in basement. Shows really well. Lots of square feet for a home in this area. Walking distance to schools and shopping. Great view of mountains. Quiet, well-maintained community. Perfect for families or older couples. Feels like a single-family home even though it is a town home. Very desirable neighborhood. Come check it out. It won't last long! One year home warranty upon purchase of home. " 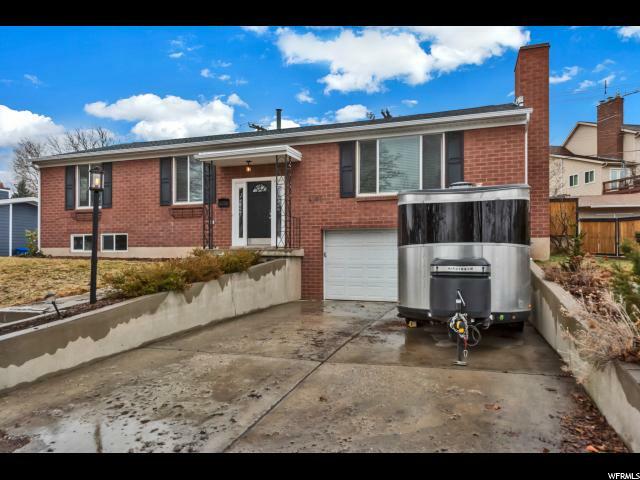 "Charming Millcreek home with incredible views of Mt. Olympus. Desirable neighborhood with easy access to canyons, shopping, dining, and freeways. 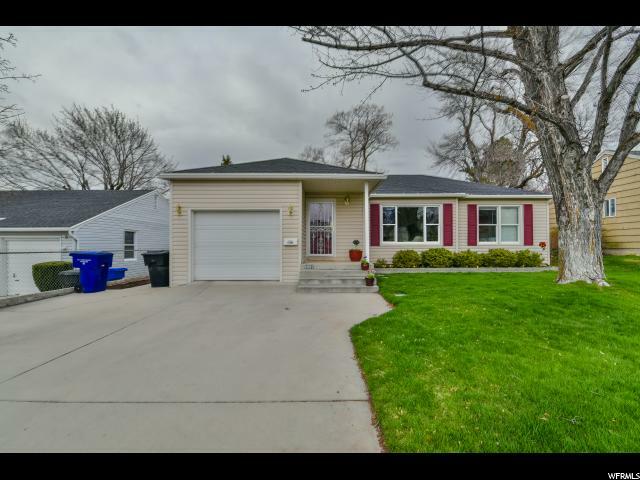 Beautifully updated with quartz countertops, stainless steel appliances, refinished hardwood floors, spacious backyard, new roof, two car garage, and basement with good ceiling height and plenty of space to add additional room and bathroom. Owner Agent." 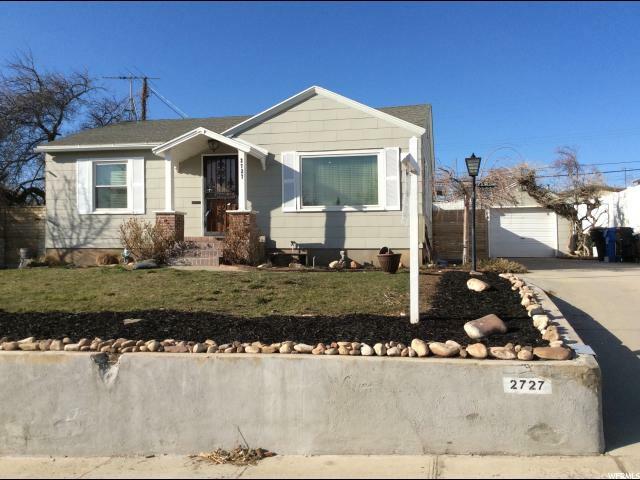 "Best Deal in preferred Canyon Rim neighborhood close to parks, schools, shopping, freeway. Comfortable and functional floorplan with gas log fireplace in livingroom. Nice kitchen & 5 large bedrooms. Huge laundry room with space for a potential auxiliary kitchen. Separate basement entrance at rear of home. 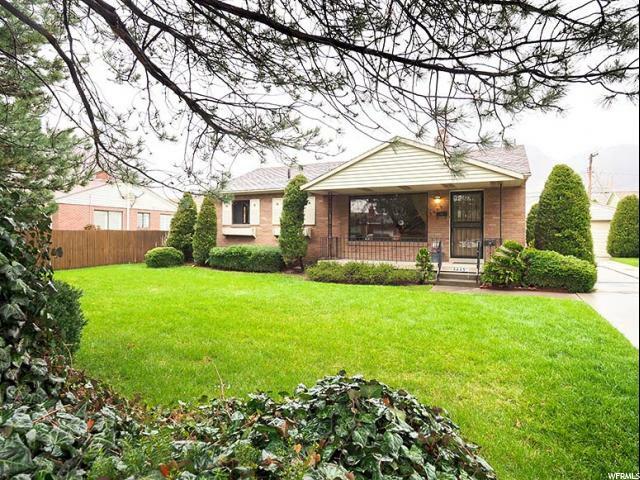 Landscaped with ever-blooming perennials and large family-friendly shaded fenced backyard. Seller has arranged (and will pay for) Buyer to receive full Liberty Protection from Freedom Home Warranty at a cost of $395 for 1 year after Closing. Agent related to Seller." 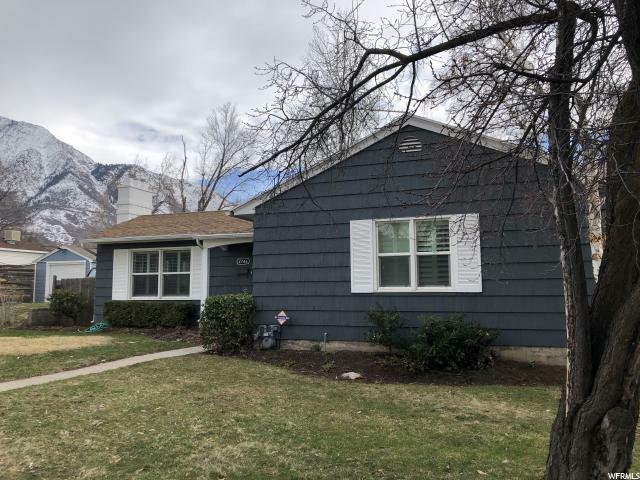 "Welcome to a gorgeously updated bungalow in the exclusive Canyon Rim neighborhood where summers are spent with concerts in the park and winters are spent Christmas caroling through the neighborhood. You are just a short distance away from Tanner dog park, Canyon Rim Park, Sugarhouse Park, I80, I215, Millcreek Canyon, shopping, restaurants, and so much more. 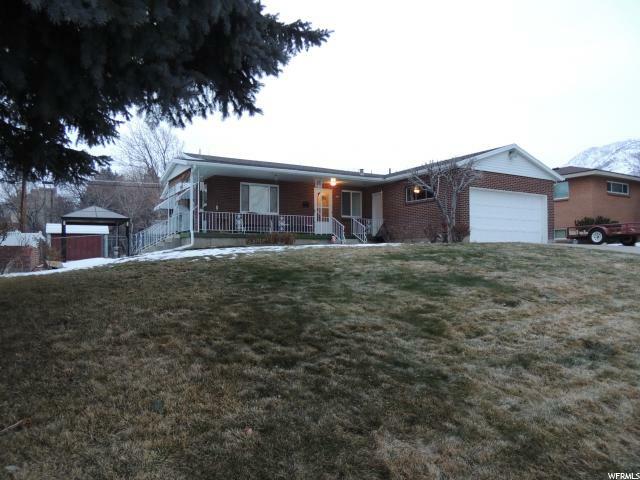 This beautiful home is located in Granite school district's top school boundaries: Morningside, Wasatch, and Skyline. The mountain views from the front porch or back garden area are spectacular. Too cold to be outside? Lie in your bed and see Mount Olympus from your master bedroom window, it won't disappoint! The three bedrooms (4th bedroom is 50% complete) and two bathrooms (2nd bath ready for your personal touches) home has had the original hardwoods recently redone as well as a new 97% efficient furnace and new large AC unit installed in 2015. The formal living room and dining room are perfect for hosting with additional seating in the breakfast nook. The upstairs bathroom has recently been updated with classic subway tiles and a darling farmhouse look. The secluded backyard boasts a large garden area through a grapevine and rosebush archway, where fruit trees and storage shed can be found. There is a lighted covered patio area for outdoor entertaining with city views. This home won't last! 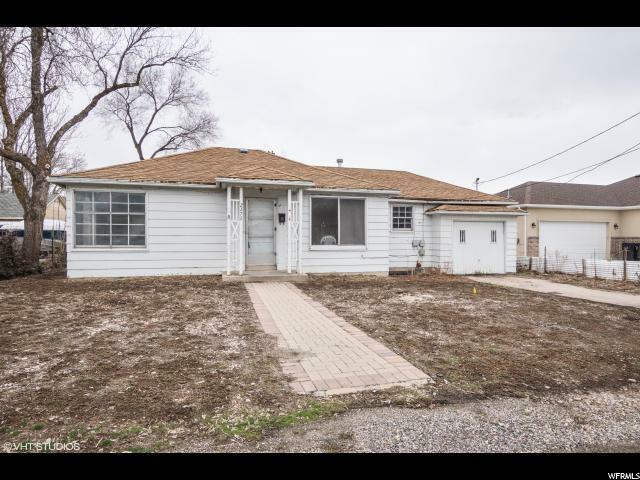 Square footage figures are provided as a courtesy only and were obtained from Salt Lake County. Buyer advised to obtain an independent measure. " "Beautiful home! New flooring, new bathrooms, large new kitchen with Island and quartz tops. New appliances, large detached 2 car garage. This home is spacious. Come check it out!" "Welcome home! 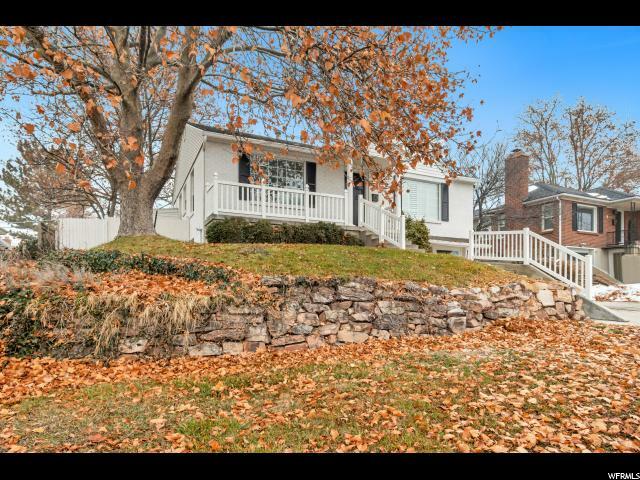 This charming mid century home has been updated and optimized for good living. Relax on the patio with your favorite beverage while gazing at the gorgeous views of Mt. Olympus and Grandeur Peak. Come in to find an open and spacious floorpan perfect for entertaining. Nearly everything has been updated including plumbing, paint, flooring, kitchen, bathrooms, and a brand new A/C unit was added within the last 2 years. Make the most of the coming summer days with a lush covered patio, yard, and included play structure. This house is centrally located and convenient to city and mountain adventures. Make this house your home while you can! Grand opening this Saturday April 6 from 12 noon - 2pm. Marketing deemed reliable but not guaranteed, please verify." 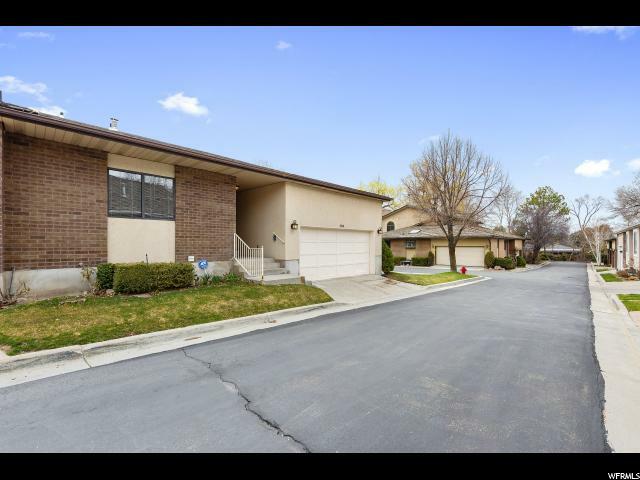 "Newly remodeled in the heart of East Millcreek in Canyon Rim with all the best upgrades. Brand new kitchen with quartz countertops and new cabinets and all stainless steel appliances. Updated plumbing, ceramic tile, hardwood floors with a spacious newly added bonus living room/sunroom. All electrical outlets updated to GFCI, new roof, new garage door. Square footage provided by county records, buyer to verify. Bare spots in backyard were recently seeded this fall. Home is Vacant. Txt/Call for Appointment." "**Prime Location. Beautiful open kitchen with vaulted ceilings. ** Huge 2 car garage with a carport or covered patio on the side. The home has hardwood throughout the upstairs even underneath the carpet. This home is move in ready. " 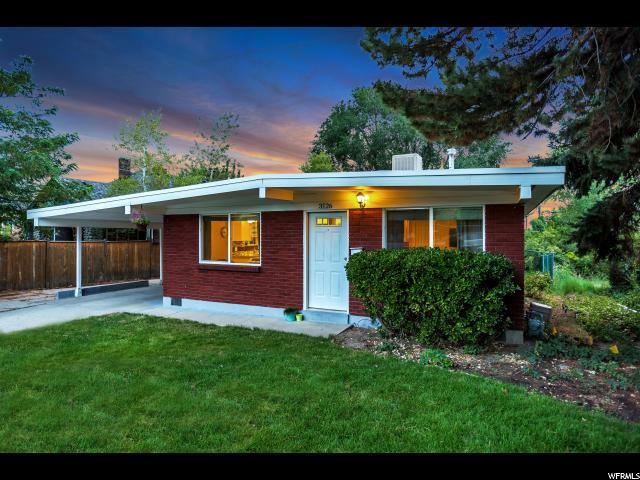 "Great single level living in the heart of Holladay. Very spacious rambler in a small PUD complex offers 2 bedroom suites on main & 2 bedroom suites lower level. Kitchen has been updated, newer furnace, and in the last 2 years new roof, bath & gorgeous plank type floor. Huge skylights, alcove off entry perfect for small office or perhaps music room. All rooms are spacious including lower level great room. 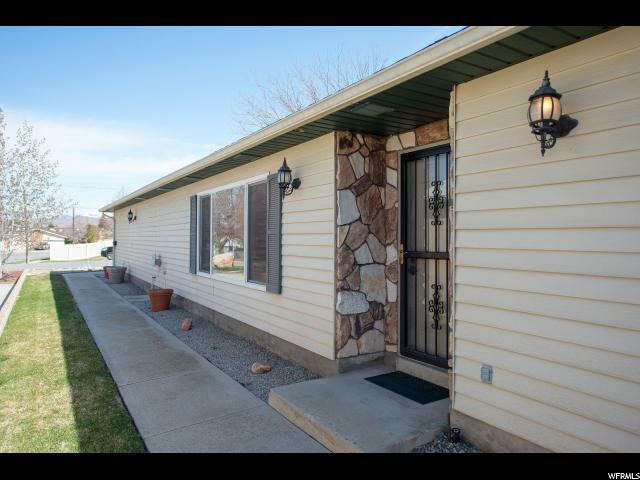 This home has a great deck with fabulous mountain views, a real yard that is fenced and private! Great property, great location. 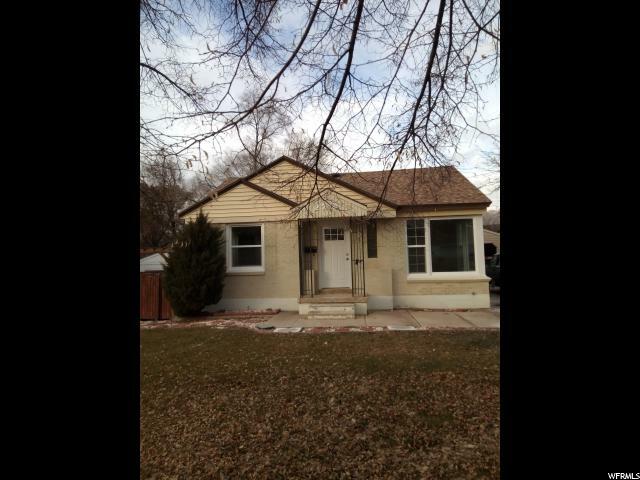 Seller is doing a 1031 exchange." 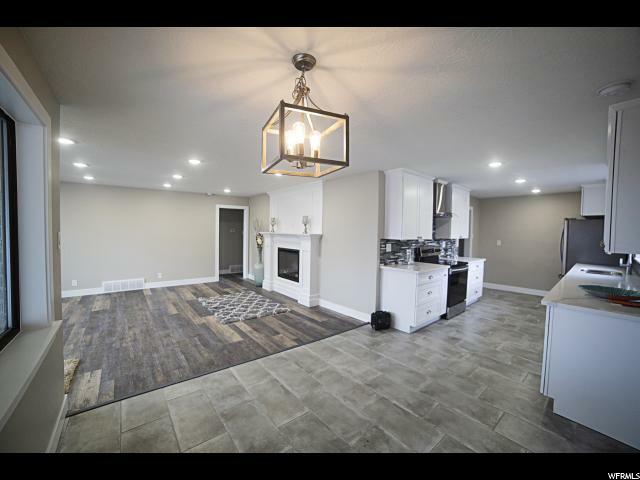 "High demand location in Holladay! New Kitchen & Bathroom Cabinets. New HUGE custom tiles. Original Hardwood Floors. New Granite Counters. New Base & Case. New 3 Tone Paint. Good Furnace & Water Heater. New Carpet. Single Detached Garage with a carport. Updated Lighting & LED's. Plantation Shutters. Custom Tiled Bath. Double Pane Vinyl Windows. New Craftsman Doors"
"SALE FAILED! QUALIFIED BUYERS ONLY PLEASE. Homes are rarely available in this amazing neighborhood. Especially an updated home that is like new. New carpet, new paint, new kitchen, stainless steal appliances. Refinished original hardwoods. Back deck and yard is large and secluded. Best freeway access putting you minutes away from everything you want to be close to. Basement could easily be converted to mother-in-law apartment. Don't miss this one. " "$20k price reduction! 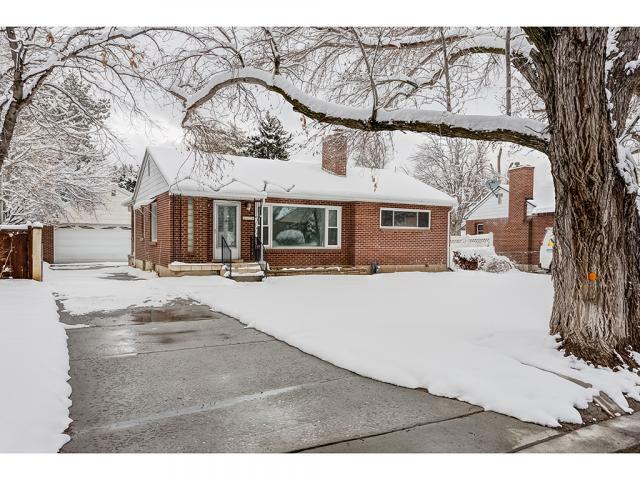 Darling brick rambler with possible basement mother-in-law apartment in the highly-desired East Millcreek neighborhood. Roof, Furnace, Water Heater, A/C condenser are all less than 5 years old. Updated windows, doors, flooring, moldings, bathroom with jacuzzi tub. Basement entrance...basement could possibly be used for a basement apartment. Wonderful tree-lined and fully fenced backyard with gazebo and propane heater and storage shed. All three Granite District Schools (Upland Terrace, Wasatch JHS, and Skyline HS) are on the same street and within a short walking distance from the home. Discovery Pre-School is around the corner. Home backs right up to Upland Terrace Elementary School. 4 bedrooms, 2.5 bathrooms. Updated kitchen and appliances. Fenced backyard. 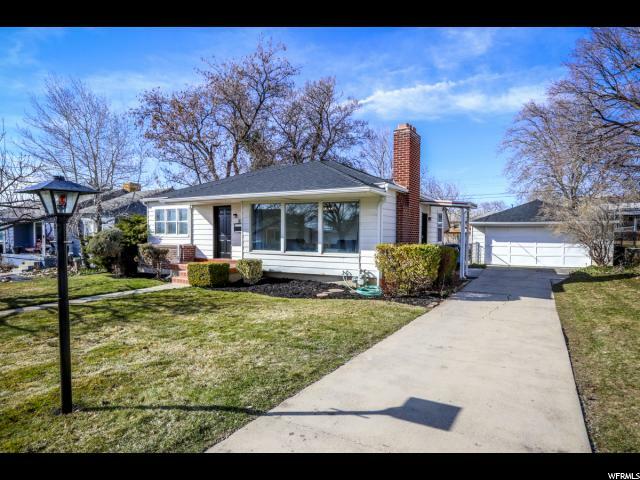 Wonderful neighborhood that's 2 minutes from Millcreek Canyon, I-215 and I-80. Close to The Evergreen Rec. Center, Library, shopping, restaurants, and three parks. 15 minutes from the U of U. Microwave and fridge/freezer in basement utility room are included." "Charming home located in friendly Canyon Rim neighborhood. Main floor has three bedrooms, updated kitchen and bathroom, and a good-sized living room. Original hardwood floors are beneath the carpeted main floor. Basement carpet is new and the 3/4 bath has recently been remodeled. Large backyard with mature fruit trees. Just around the corner from Canyon Rim Park, with easy access to I-80 and I-215. 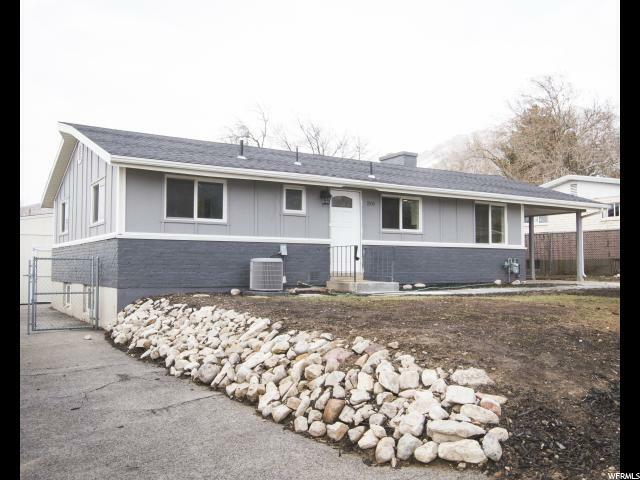 20 min to downtown and U of U. Close proximity to shopping, recreation, and great schools!Square footage figures are provided as a courtesy estimate only. Buyer is advised to obtain an independent measurement." 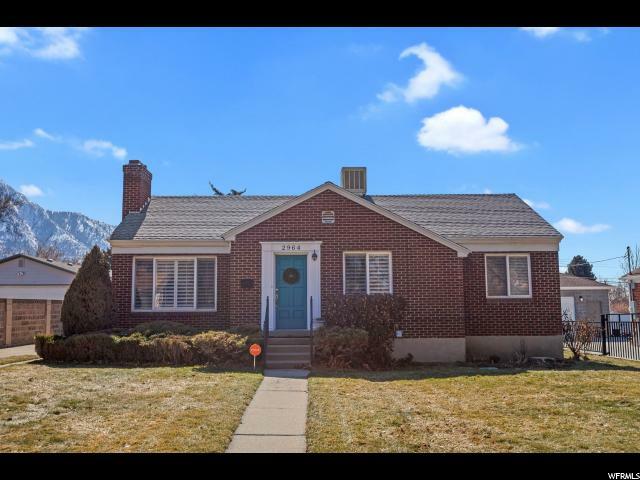 "Brick home on quiet horseshoe street in Holladay. New roof, windows and solar system. Main floor laundry and walk in pantry. 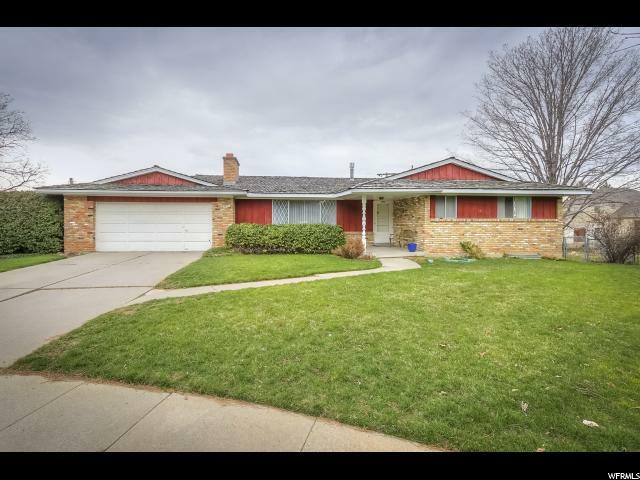 Hardwood floors, granite counters, master bath, gas fireplace, finished basement, fully fenced, great schools/parks near by"
"Very nice brick rambler in highly desirable East Millcreek neighborhood. Quiet cul-de-sac. Hardwood floors, great fireplace with bookshelves, wonderful formal dining which opens to spacious covered patio. Separate kitchen eating. Nice floor plan. Full daylight walkout basement. Rec room w/built-in shelves. Close to all amenities. Walk to all schools. 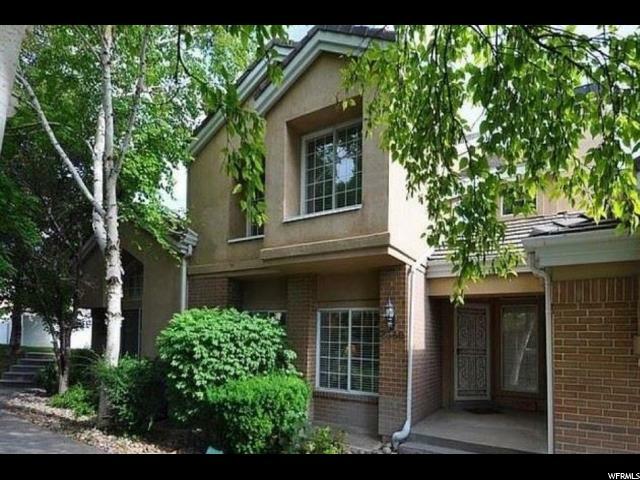 Close to freeway, canyons, parks, ski resorts and shopping. Well maintained home for many years."